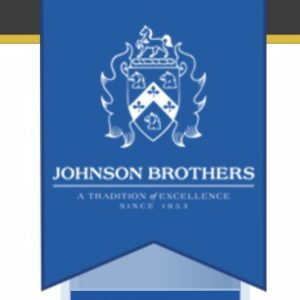 For those of you that might not be familiar with this company, the Johnson Brothers is a well-established family owned distributing company. The company was established in 1953 and has been successfully distributing beer, wine and spirits to thousands of customers across multiple states since then. They operate with a simple mission being the focal point of their company culture. They work to “Provide the best possible service to both our customers and supplier partners.” This distributor operates with a progressive mindset, yet they remain well in-touch with their original values. Johnson Brothers initially started with one rented truck, a warehouse (which was converted from a skating rink) and a small group of brands. Company founder, Lynn Johnson was operating the company all on his own as a single individual entity. His daily routine was to receive orders during normal business hours, prepare the truck for following day deliveries in the evening and complete the product delivery process the next business day. Lynn Johnson did operated the company in this fashion all by himself. The company has since grown to become a significant player amongst the top distributors within the United States. The company originally focused on working with spirits but have since taken on the distribution of wine products. They are also in the business of distributing beer. They’ve been working with beer suppliers since the 1960’s. Minnesota local Hamm’s Beer is one of the many brands that have been distributed through their St.Paul distribution facility. The company still works with many of the best beer companies that exist today. The company does not just distribute alcoholic beverages, they are also widely known for distributing non-alcoholic beverages. In summary, Johnson Brothers specializes in the distribution of beer, wine, spirits, water, and non-alcoholic beverages. Visit the Park Street homepage and learn about our services.